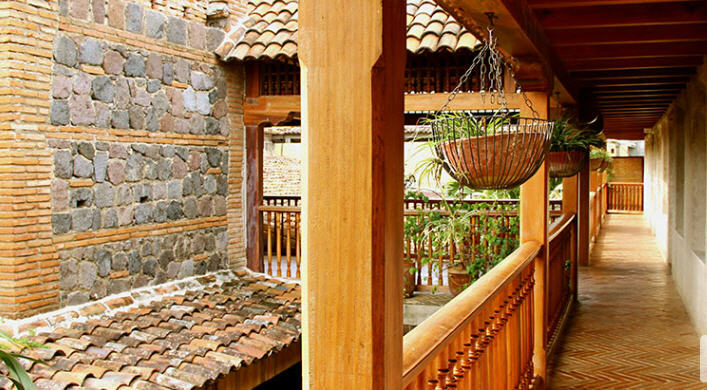 This colonial fortress at the foot of Mombacho and along Lake Cocibolca, you will find in a spectacular maze of huge volcanic stone walls, old bricks, roof tiles and handicrafts in local wood. Located in the historic center of Granada, opposite the Church of Guadalupe opened in 1976 We have the most extensive facilities of the city, and visit for many has been a unique souvenir. Surrender to the incredible colonial landscape and the warmth of our people. 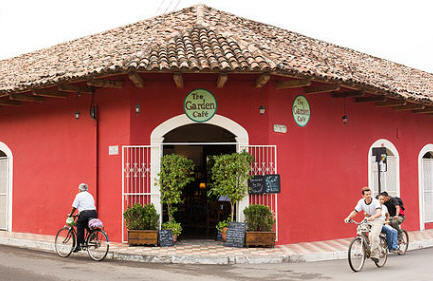 A unique opportunity to enjoy Granada like never imagined. Our rooms and suites offer all the comforts for our guests to enjoy their stay. We know your demands and needs, and we have the best service to assist you. 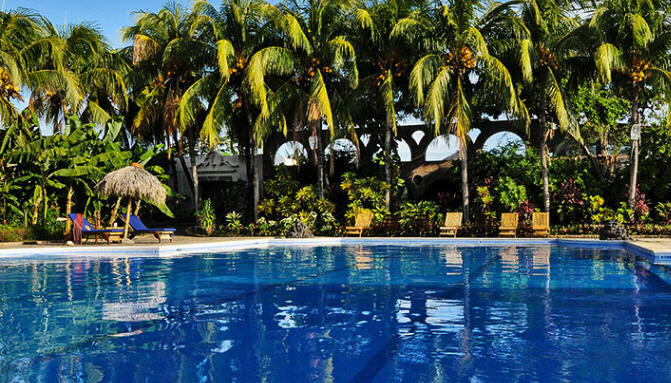 We look forward to seeing you on your next visit to Granada, so you can enjoy an unforgettable experience in our Hotel. Breakfast every morning after Yoga at the hotel. El Cortijo Restaurant delights the most discerning diners, with the creations of their highly skilled chefs. 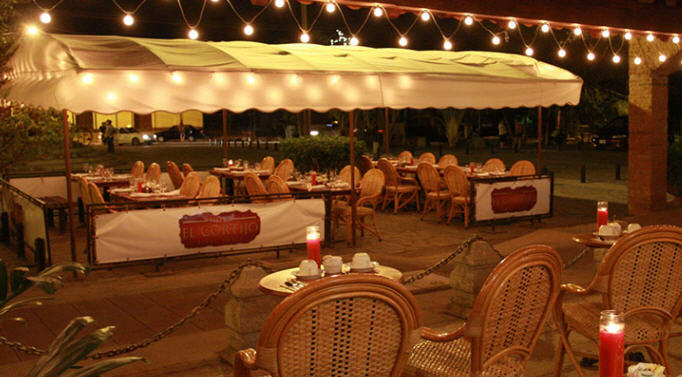 In a warm and refined atmosphere, attendees enjoy their delicious Latin American cuisine with options for all budgets. Sit back and enjoy the attention of the experienced staff. Breakfast served 8 am until 10 am. Lunch and dinner served Monday to Sunday from 10:00 to 22 pm. 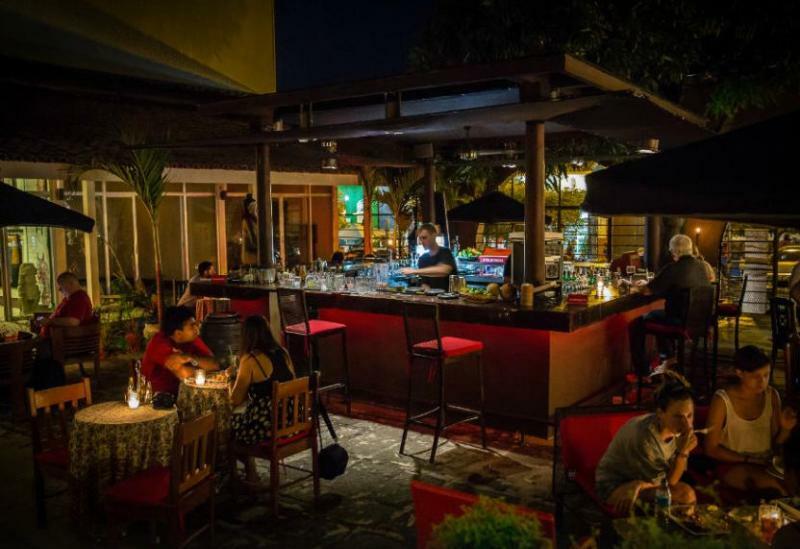 Included in your packet is a different dining experience every evening at some of the best local dining spots in Granada. The Garden Cafe offers the best quality ingredients available with daily baked breads, fresh vegetables and fruit, locally produced goods and a caring touch. We strive to provide a meaningful experience for everyone: our customers, our staff, our providers and our community. The Garden Cafe seeks to provide a 'mi casa es su casa' atmosphere where everyone feels at home. Bienvenidos! This dark, candlelit restaurant, despite the name (The Third Eye), wears its bohemianism lightly. The crowd is younger and more stylish and Nicaraguan than in the places right on the plaza, and the shelves of books makes one wonder if there is a Spanish word for gemütlich. Three orders of tapas made a full dinner for three. Great Italian restaurant. 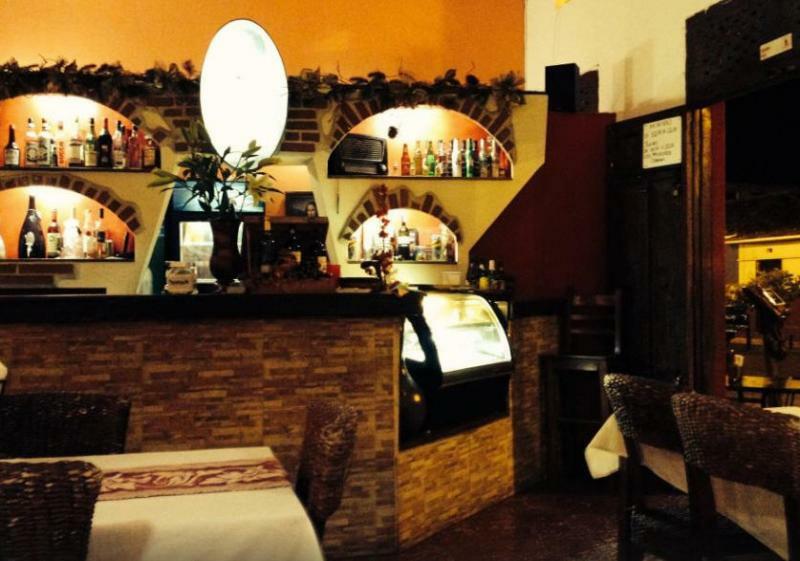 They have the best pizza and pasta dishes in Nicaragua. Dine indoors or outdoors on their sidewalk cafe. 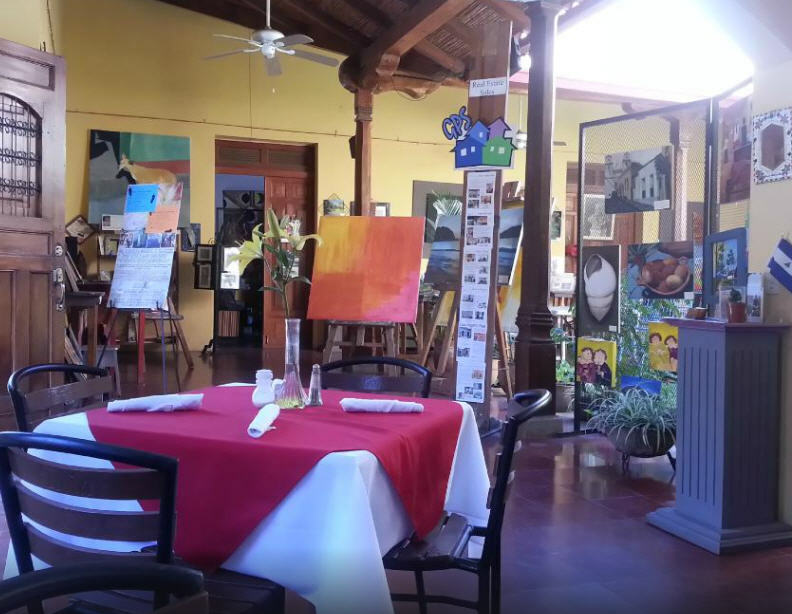 This charming café hosts exhibitions of local artists. The desserts are ‘to die for’. Many healthy options on the menu to choose from. Copyright 2014 Valentine Yoga Therapy LLC.